The world of SEO has changed… and continues to change. As I’ve discussed before (see my personal rant), one can no longer rely upon cutesy SEO tricks to scam their way to the top of search engines. In fact, in a few years it may even be passé even to talk about “search engines.” There are seismic shifts in the search world that will dramatically impact e-commerce. You need to be informed of these shifts if you expect to become and remain a successful digital marketing professional. 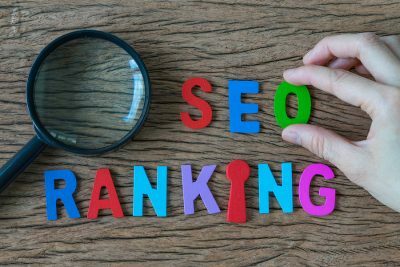 My goal in this article is to anticipate and predict four of the biggest changes in the SEO field, so you can know everything you need to know to prepare for these changes, make adaptations, and succeed in the long run. 1. Creating stellar, top-tier content is the most important thing. Ever. Content is the most important thing ever. The importance of content isn’t new. However, the reason this tops the list is because I believe content is more important than ever before. It’s called content marketing, and now, in 2014 with all the SEO changes we’ve seen, it’s the one thing that you can really rely on. It’s legit. You’ve read the hackneyed phrase, “content is king,” enough times, so I hesitate to even type the worn-out words. Yet, it does bear repeating, because that’s all that really matters. Content is absolutely all-important. Lest you think I’m merely riding a hobby horse, let me try to prove this to you. According to research from InboundWriter.com, companies who have an active blog report 63% more leads than companies who don’t. As it stands today, 91% of B2B companies use a content-driven strategy. On the consumer side of things, people are more likely to buy if they find custom content on an e-commerce website, as report by the Custom Content Council’s sponsored research from GfK. They like content, and 90% of consumers find that it’s useful. 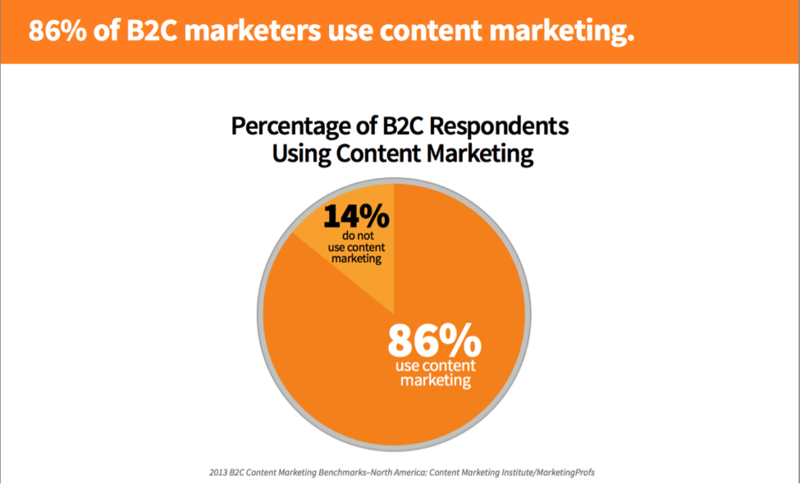 Things are not silent in B2C, since 86% of B2C marketers swear by content marketing, as cited by CMI. 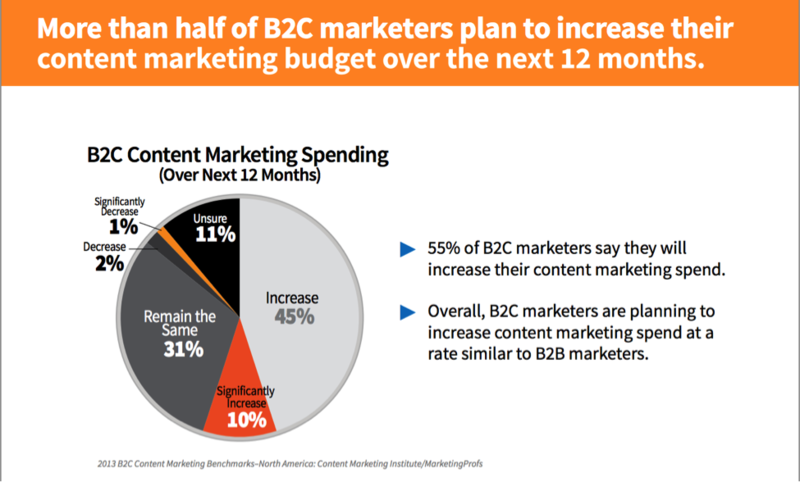 A full 55% of B2C marketers plan to increase their content spending. Blogs provide 434% more indexed pages and 97% more indexed links than not blogging. The Internet is, was, and shall be, a place where content reigns supreme. Even our wearable hardware is designed to deliver content—mobile phones, tablets, and other portable devices. The way we integrate Internet accessibility into our daily lives is about content: Pandora streaming in your smart car, weather information on your thermostat, and movies on your TV. It’s all content, multiform, ubiquitous, and valuable. The way to succeed in the long term of the SEO world isn’t to try to gain linkbacks, snag some guest posting opps, or create a killer long-tail SEO strategy. Those are fine and good, but you need to be making content. You must be creating and curating your own evergreen information—the kind of information that people seek, consume, and share. This is the long view of Internet marketing. It’s not going away. You will not lose an iota of your marketing dollars by investing them into top-tier content. You have a limited number of dollars to spend on marketing. Content should take an unfair chunk of that change. 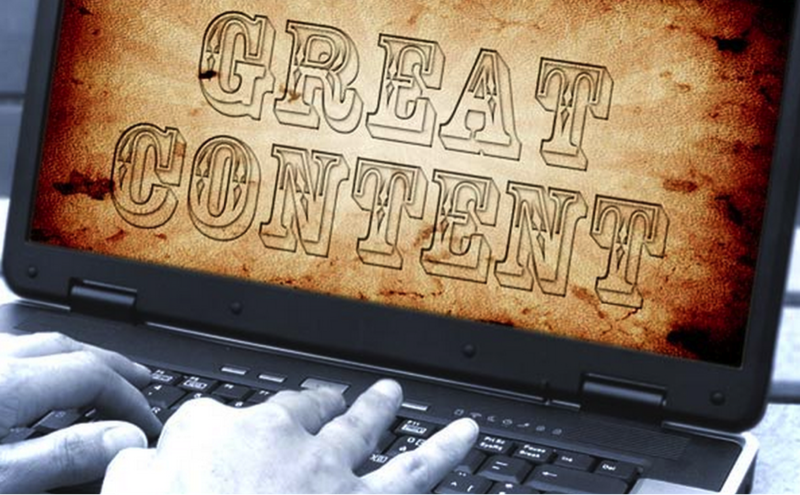 Takeaway: Awesome content should be your number-one marketing effort and investment. The longer you wait to produce said content, the more chance of content saturation in your industry. Get to it now! With the advent of Web 2.0 came the rise of a new breed—the “social marketing manager.” Self-proclaimed gurus with large or small social followings made it their income-worthy opportunity to tell others how to gain social followings, or just did it for them. The web is a social place, and you’re not going to succeed unless you’re sociable, too. But there’s so much misinformation in this social milieu, that many Web mavens are awash in confusion. Is social really deserving of so much marketing money? 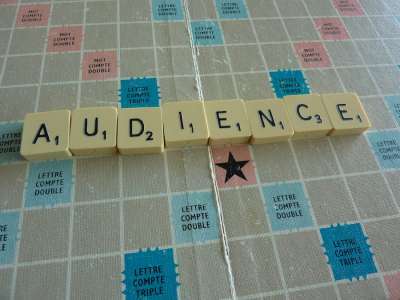 Does a huge social following translate into active customers? Do social signals provide higher search engine results? Should I buy Facebook fans or Twitter followers? What’s Instagram? Do I need it? I’ll admit that the social web is a complex and unwieldy field. It’s still trying to find its footing in the broad arena of Internet marketing. A few facts, however, can helps to set things in perspective. Social signals don’t change your SEO. First off, you need to stop using social signals as an SEO technique. Matt Cutts, head of Google’s webspam team, put a stop to this myth in one of his legendary videos. If you’re trying to improve your SEO by getting more Twitter mentions, stop it. It’s a waste of time. Social signals and SERPs are two disparate fields. Don’t get them mixed up. But just because social isn’t an SEO trigger doesn’t mean you should neglect it. As I’ll explain, there’s more to SEO than just the all-powerful algorithm. It’s about people sharing with one another, talking to one another, and interacting with one another. Social is clutch. 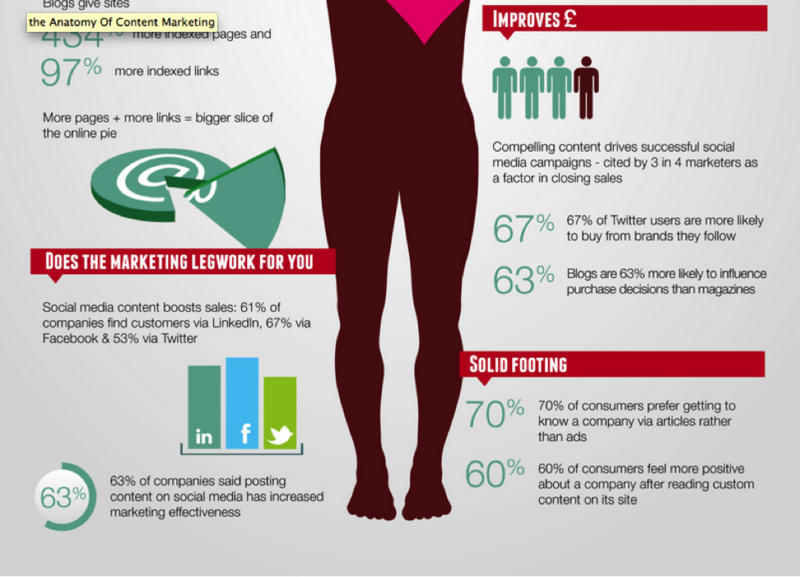 Make your content social. The web today is driven by social content, not just raw content. In other words, you should integrate a social component into every bit of content that you produce. Social media is the predominant form of social interaction today. There are some who decry social media as artificial relationships that aren’t lasting, bonding, or genuine. Actually, though, the complex web of social relationships resides online. Social interaction happens less at cocktail events and backyard barbecues than it does in comments sections, Facebook threads, and Twitter DMs. People must understand that the social vibrancy of the social media outlets is a legitimate and critical forum for marketing. Social is the way people get information. It’s pretty obvious that social media is the way that people connect with each other. It follows that social media is also the way people gain information for their purchasing decisions. Smart retailers know that every purchasing decision is a social decision. They add social information to the purchase, provide social for product reviews, add social sharing to purchases or pre-purchases, and make the entire event one for which you can interact with other people. You don’t get very far in the B2B or B2C world without a strong social component. This leads me to my big point. Social networks are surrogate search engines. Is Google being edged out by alternate search engines? No, I’m not talking about the rise of Yahoo or Bing. Let’s just admit that Yahoo and Bing have lost the game. I’m talking about socialsearch engines. Who needs Google when you can find more direct and pertinent information by searching Twitter? Why depend on the Google algorithm when some social networks or sites have more intuitive and pared down information with superior results? Here are the socially driven search engines that are competing with Google. 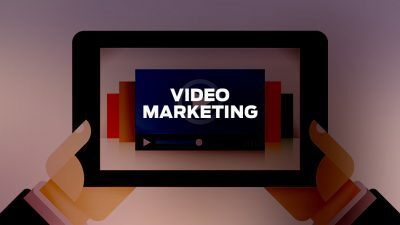 YouTube is the world’s second largest search engine, which is a commonly accepted fact by now. 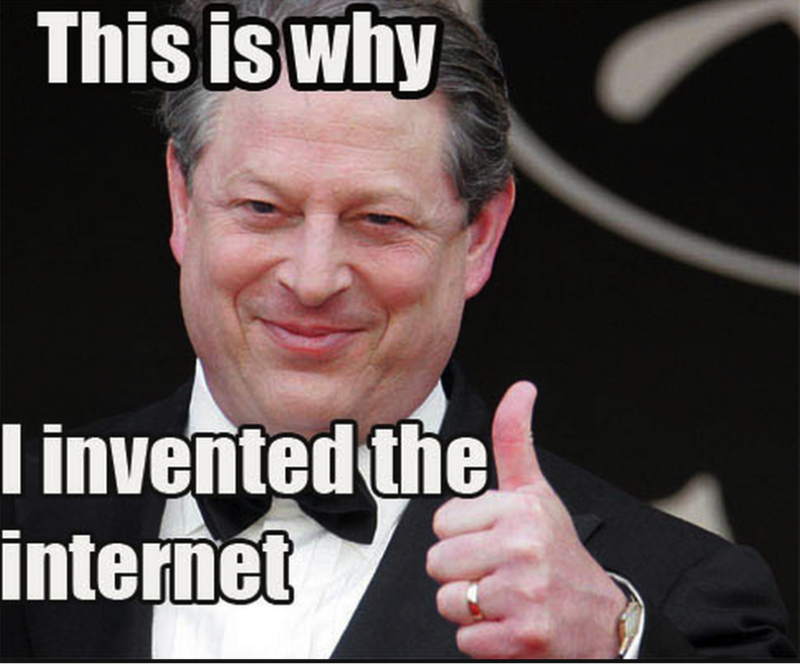 It’s bigger than Bing, Yahoo, Ask, and AOL combined. Every month, it processes over 3 billion searches. It has more watchers than any cable network on the planet. The value of Twitter as a search engine is that its provides up-to-the-second information on trending topics. 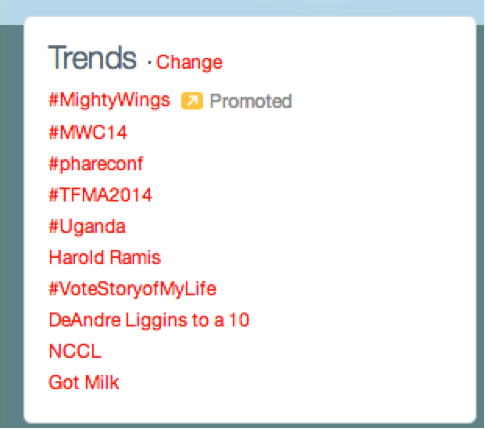 Who wants to wait a few hours or days for Google to index stuff when it’s already on Twitter? A few weeks back, when Gmail went down, I scurried over to Twitter to find out if it was just my network bugging out or if it was a real outage. To search on Twitter, all you need is quick hashtag search. You don’t even have to type it. You can just click it. Now, Twitter is all grown up. Its IPO has come and gone. Its user base is firmly established. Twitter is now a search engine par excellence, with results that are remarkably different, considerably faster, and substantially superior to Google, depending on what you’re looking for. Facebook has primed its search results with extraordinary precision. You can search for friends of friends who have “plumber” in their job description. You can search specific networks for specific results on specific topics. Google doesn’t do this. Facebook has a search engine potential that is completely separate from Google. Forrester’s research discovered that product searchers started looking on Amazon, not Google, more than 30% of the time! What’s more, a comScore study determined that product searches on Amazon far outstripped Google product searches. These social networks are just as important as Google. You need to be present and active in these social forums. What’s more, social is a big component of the future of search, or SEO (if we must call it that). The day of multiple search engines has arrived. We are no longer exclusively dependent upon Google. All of these search engines share a common fundamental fact—they are intensely social. Although Google is making a quick scramble from behind the eight-ball on the social side of the Web, their search engine hasn’t recovered fast enough. We’re nowhere near bidding Google adieu as a search engine, but we are definitely depending upon social networks for our search engine daily bread. Sorry, Google. There is a high degree of social networks as surrogate search engines. Who needs Google when you can just Twitter it? Then there’s the preeminence of YouTube as a search engine, working separately from the Google algo… the rise of mobile devices as search tools… and the crucial importance of geographical search. You have a mobile device. So does a huge percentage of the developed world. In fact, there are probably more mobile phones on the planet than there are people. These mobile devices are for work, for play, and for search. Mobile search is important to the changing field of SEO for three reasons. 1. The nature of queries has changed. 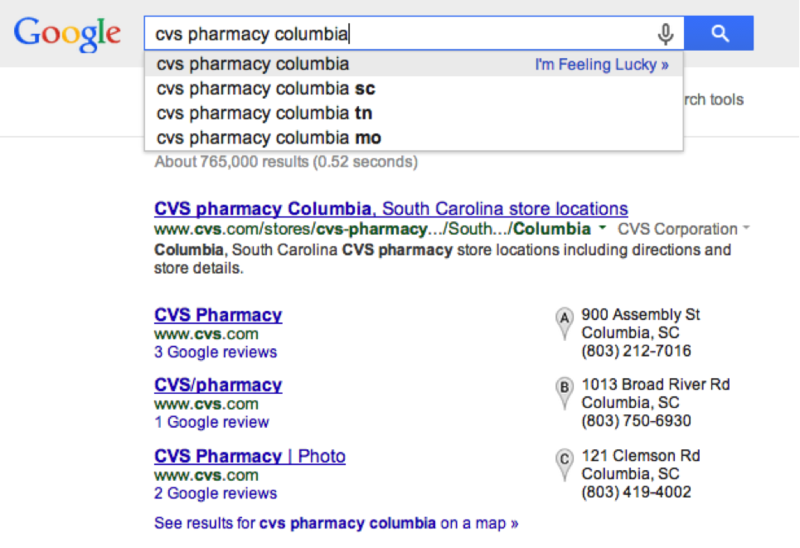 Now, however, search results are more intuitive. They’re designed to be more like how I speak, and not how I think a search engine might want me to type. They might look more like this. Search happens in the car, in airport terminals, walking down the sidewalk, laying in bed, or even in the bathroom. Search happens wherever people with mobile devices are. In other words, it’s now mobile. 3. Results are geographically oriented. Because search is mobile, the results get geographical results. If I’m on I-77 in Virginia driving south, I will get far different results from a search for “italian restaurant” than I will if I were on I-5 north of San Francisco. The results I get are dependent upon my location. But along with the geographical results, it bears noting that many of the searches, themselves, happen in a geographical search engine. Google Maps is a search engine. Apple Maps is a search engine. They produce search results that are incredibly relevant to a person’s geographic location. We can’t ignore this when we talk about SEO. One of the most important things about SEO has been the “keyword.” In fact, when most people think of “SEO,” they automatically think “keywords.” The two just go together. But that time-honored link is slowly unraveling. It first started unraveling when the long-tail keyword developed. Long-tail keywords aren’t just keywords. They’re phrases—entire strings of words that help a searcher find a more specific result. The keyword “Apple” for example, doesn’t even work as an effective search. So, users type in “apple macbook pro 2014.” Now that’s a long-tail keyword. So describing these as “keywords” isn’t even accurate. They are phrases, sentences, and have a lot more information packed into a single query than a single keyword used to have. Another roll-out of the changing field of keywords was introduced with the developing science of latent semantic indexing as it affected SEO. Without being odiously technical, LSI basically means that you don’t have to use the word you’re searching for in order to get the results you’re looking for. No, you didn’t search for “coffee,” but the search engine knows that coffee and tea are so much alike that you may actually want to look at some nice coffee mugs in addition to tea mugs. That’s the power of latent semantic indexing. You get results for things that are related to what you’re looking for, and not just specifically what you’re looking for. 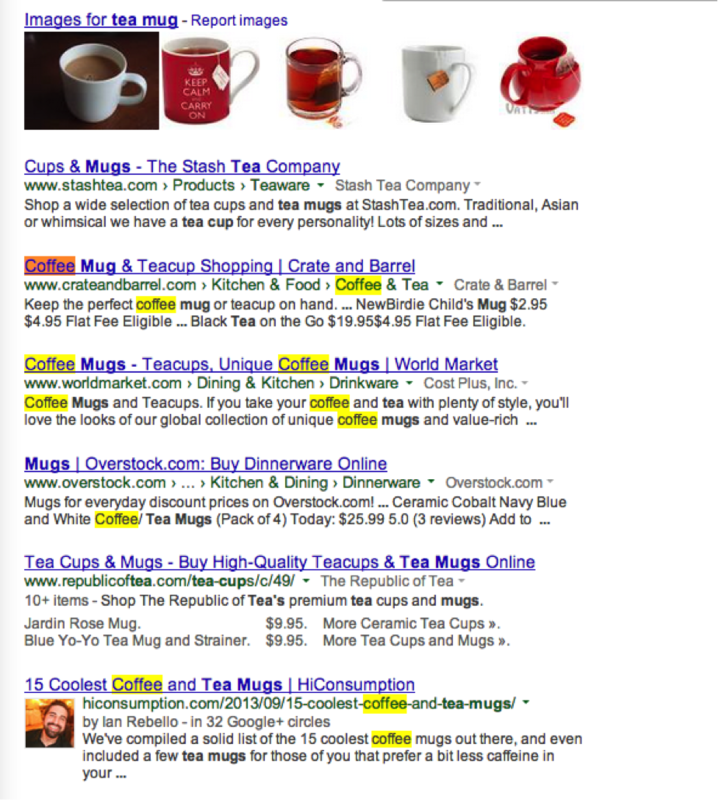 The term context-relevant search refers to anything else that influences the search results. The search results you get are hyper-personalized, though you may not realize this. If you Google “good health food” in Denver, CO, as a 28-year-old male, you will get vastly different result than if you were to Google the same thing as a 71-year-old female living in a retirement community in Deland, FL. Is this some twisted form of bias? Well, not really. But maybe. Search is incredibly affected by location and user. If you’re logged into your Google account while doing searches, Google uses your demographic information to provide what it thinks are the most relevant results. Thus, it’s going to differ based on where you are and who you are. Basically, then, we have a whole new methodology of searching. 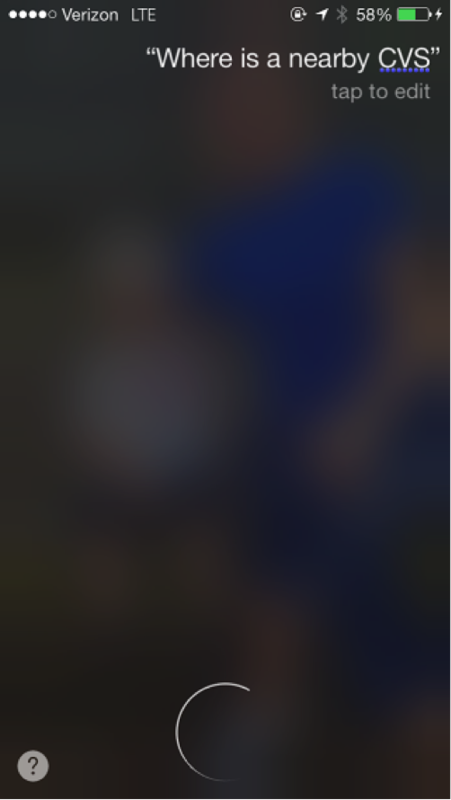 You can tell Siri, “I’m hungry.” That’s a search. The algorithm spits out results that have nothing to do with the grammatical first-person pronoun and an adjective that defines the state of one’s appetite. Instead, it will give you results that have to do with nearby restaurants or convenience stores. That’s the state of search today. Search style is changing, and it has less and less to do with queries and keywords, and more to do with intuitive meaning, personal demographic, and geographical location. Even the time of day, the weather, and the stock market will affect your search results. I’ve told you a lot in this article. Some of it is informed prediction. Some of it is currently changing. However, all of it is important. This is where you, as a digital marketing professional must take a long, hard look at the future, and figure out how to survive. Ignore these changes at your peril. The world of the Web doesn’t stand still more than .019 nanoseconds. As I write these words, the changes are moving assuredly and unstoppably. Rather than allow our businesses to languish in the irrelevance of the past, let’s face the future and do awesome things. Create content like it’s the best thing ever. Because it is. Get as genuinely social as possible. Be a friend to the mobile device and its mobile user. And get used to the fact that your paid links, guest blog posting, and hawk-like attention to your “rank” just won’t be all that important someday… soon. Welcome to a brave new world. What say you? What other critical SEO elements will change right before our eyes?